According to the April 2014 U.S. census bureau, there are approximately 76.4 million baby boomers in the United States. As this particular segment of the population approaches retirement or are beginning to plan their retirement, they are looking to options that can help them with the flow of income for their retirement years. Reverse mortgages are available for homeowners, with at least one of the borrowers being a minimum age of 62. It can be a great option for homeowners who want to turn a portion of their home equity into cash, which can help them as part of their retirement financial planning. The costs involved in a reverse mortgage include application fees, appraisal fees, lender fees, mortgage insurance premium and closing fees. Reverse mortgages can be costlier than a traditional mortgage due to the appraisal and mortgage insurance premium. What are the obligations of my loan? What happens if I don’t meet the obligations? Reverse mortgages have special rules that borrowers must follow in order to prevent their loan from going into repayment status. The obligations of a reverse mortgage specifies that the borrower must be living on the property as their primary residence, and they must continue to make payments on their property taxes and home insurance. Baby boomers can find many benefits from having a reverse mortgage, including the flexibility on how they can use their money. Also, with a reverse mortgage, borrowers do not have to worry about making monthly payments to the lender as long as they meet the obligations of the loan. Once the last borrower on the loan moves out or passes away, and the home is returned to the lender, then the loan would be satisfied. Reverse mortgages are an excellent retirement planning tool for baby boomers, as it allows them flexibility and the opportunity to receive income in addition to their Social Security benefits, retirement benefits and pension. If you are a baby boomer homeowner over the age of 62, a reverse mortgage might be the right option for you. 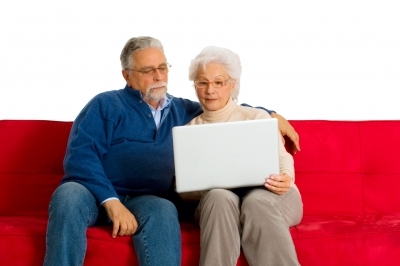 Speak with a Senior Advisor for your reverse mortgage needs at 1-888-808-8486.